DeKalb Sycamore, IL Newborn Photographer Wins National Portrait Contest ! Here at Wigglebug we are thrilled to announce that we have won FIRST PLACE in the National Children's Portrait contest in, not one but TWO categories! In addition to these two first place awards we have also won an Honorable mention. 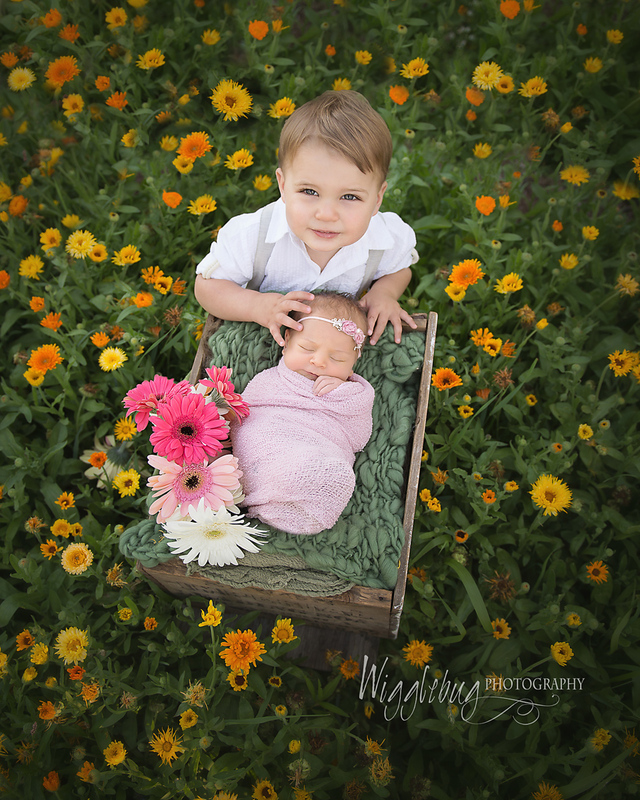 This is the first year that we have entered newborn photos into a contest and we are thrilled with the results. DeKalb, IL Newborn Photographer Wins National Award! In the "Buddies" category the photo of Baby Planner Miss M and her big brother won first place. I knew this photo was a winner when I saw it on the back of my camera. It was taken in the outdoor studio here at Wigglebug. The garden was in full bloom and we had a warm beautiful night. We had planned on only doing a few shots outside but because it was so beautiful we did most of the session outside. This newborn session turned out to be amazing. The outdoor studio includes a stone walk, wooden rope swing with pergola, and flower gardens. In the "Pets" category we won both a first place ribbon and an honorable mention. Both of these photos were taken during our TAILS session. 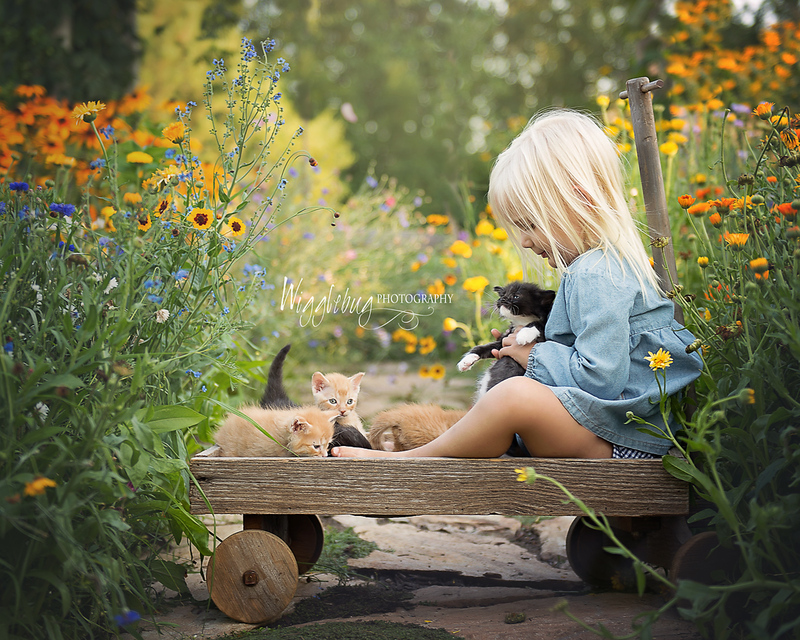 On a warm night in July we invited 10 children, 9 kittens, 4 puppies, and 2 animal handlers to the Wigglebug outdoor studio. This session was to create artwork to hang at TAILS humane society in DeKalb, IL . Again, I knew these images were winners when I saw them in my camera. 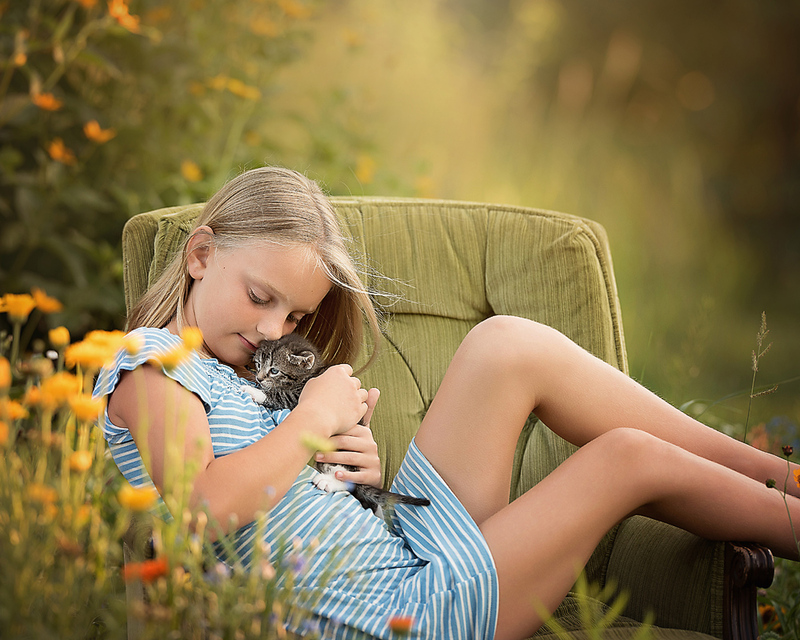 The Adorable National Photo Contest is hosted by the professional photo lab ACI. Winning images are chosen on the basis of technical perfect quality and the ability of the photographer to capture the charm, expression, and personality of the child. In this contest the very generous cash prizes are awarded to the children in the photos! Each of our winners took home Master Card gift cards as well as mounted prints of the winning photos.